Mauritius is perfect for sharing a moment of serenity, the sun rises and warms you, feet on the sand, gaze attracted to this endless ocean, giving way for a beautiful day. The reputation of Mauritius as a perfect destination for a tropical vacation or a honeymoon is unparalleled. Sandy beaches, sunshine, crystal clear waters, rich culture and lush nature: all these elements aspire to magical vacation. When choosing your tropical destination, you will certainly come across Mauritius as a classic. If you want a trip without concern, sunny days and exotic lifestyle, Mauritius is made for you. This year, if you are planning your holidays, why not go and discover this beautiful island of the Indian Ocean and its many facets. Experience unforgettable moments on one of the most beautiful Indian Ocean islands. To make the preparation of your stay and your trip to the island pleasant, we have compiled all the information you might need to spend great and complete holidays! From top places to visit, to food and accommodation, we have it all here! Before coming over to Mauritius, you surely want to know its attributes. Here are a few things that will surely conquer you to visit the island of Mauritius. If this is your first time to Mauritius, you will not know where to go on the island. We have made a selection of the best places to visit during your holidays on the island. Deer island is a beautiful small island located east of Mauritius. It is only accessible by boat. Various formulas will be presented to you when it comes to a trip to Deer Island, however, for more freedom and authenticity know that you can go on a water taxi from Trou d’Eau Douce. It is a 10 minute trips. Then you will be able to just enjoy the beautiful beach and turquoise sea around the islet. You can also relax in the shade of casuarinas or stroll on the beach on the other side of the island. If you want premium services, you can opt for one of the formulas providing for boat, lunch, visit of the GRSE Waterfalls along with some activities like parasailing. 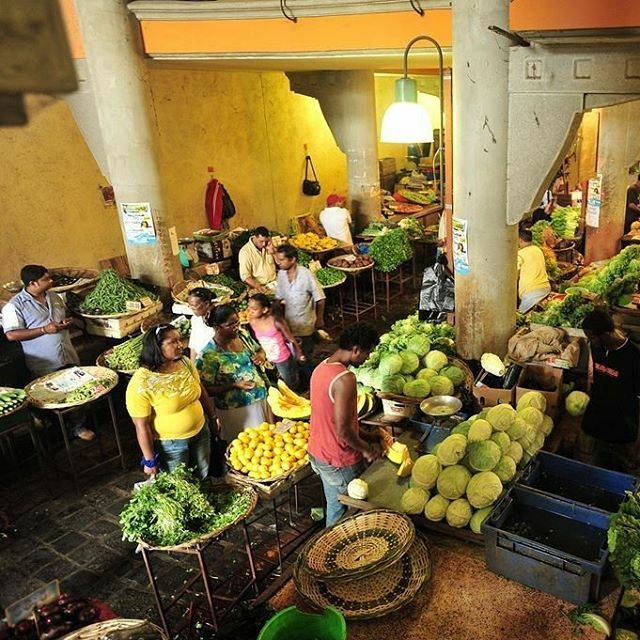 The capital of Mauritius deserves a visit and not only for its market. A walk in town will not only allow you to experience the street food but also to mingle with people and discover their daily lives. A visit to the large market of Port Louis will reveal its most beautiful fruits and vegetables but you will also find clothing and even crafts products to bring back home as souvenirs of your trip to Mauritius. Then why not head to China Town where you can taste wonderful Chinese food and Dim Sum! You can also head to Plaine Verte where you will find the best Dholl Purees and Alouda without forgetting the alluring perfume of the Briani at every street corner. Le Morne, a mountain located in the southwest of Mauritius, is one of the UNESCO heritage of the island of Mauritius. If Le Morne once served as a sanctuary for slaves, today it is an important place that recalls the colonial era of Mauritius. If you are courageous enough to hike the mountain until the top you will be rewarded with an incredible view of the surroundings. If you prefer water activities, you can reach the nearby beaches that are popular with kite surfers and surfers. These gardens were renamed in 1988 in memory of the Prime Minister of Mauritius which led the country to independence twenty years ago. SSR Botanical Gardens are one of the most visited tourist attractions on the island of Mauritius. The gardens are famous for its giant water lilies – Victoria Amazonica – whose gigantic leaves can measure up to three meters in diameter. There you will also come across the amazing Talipot palm which blooms only once in 30 to 80 years. The garden boast various other rare species that a guide will happily show to you during the visit of the garden. At the center of the island, one main attraction remains Trou aux Cerfs, an extinct volcano in the middle of the central plateau, dominating the small town of Curepipe. The crater ises on a natural lake. The panoramic view from this point is outstanding, overlooking the main towns, but also the Moka Mountains and the northwestern coast. Note that access by car is prohibited there, you’ll have to walk around the crater- which is indeed a rewarding walk. If you are one of those adventurers, we advise you to visit the south of the island after leaving Curepipe. Follow the trail from Mare aux Vacoas which meets with Petrin then followed by Ganga Talao (Mostly known as Grand Bassin), a natural lake that nestles in the crater of an ancient volcano. This lake is an important place of pilgrimage where many Hindus of Mauritius converge to pray Lord Shiva during the festival of Maha Shivratree. It is believed that water from the sacred lake of Ganges in India are linked to those in Mauritius. There you will also have the opportunity to contemplate one of the highest statues in the Indian Ocean – Mangal Mahadev – at the entrance of Ganga Talao. Further south, after crossing Bassin Blanc and Vallee des couleurs, you will come across, yet, another wonder of the island of Mauritius. The Land Of Seven Colours- Chamarel. The south of the island is pretty wild, unspoilt and mountainous. The views you will come across while descending the road of Chamarel are stunning. 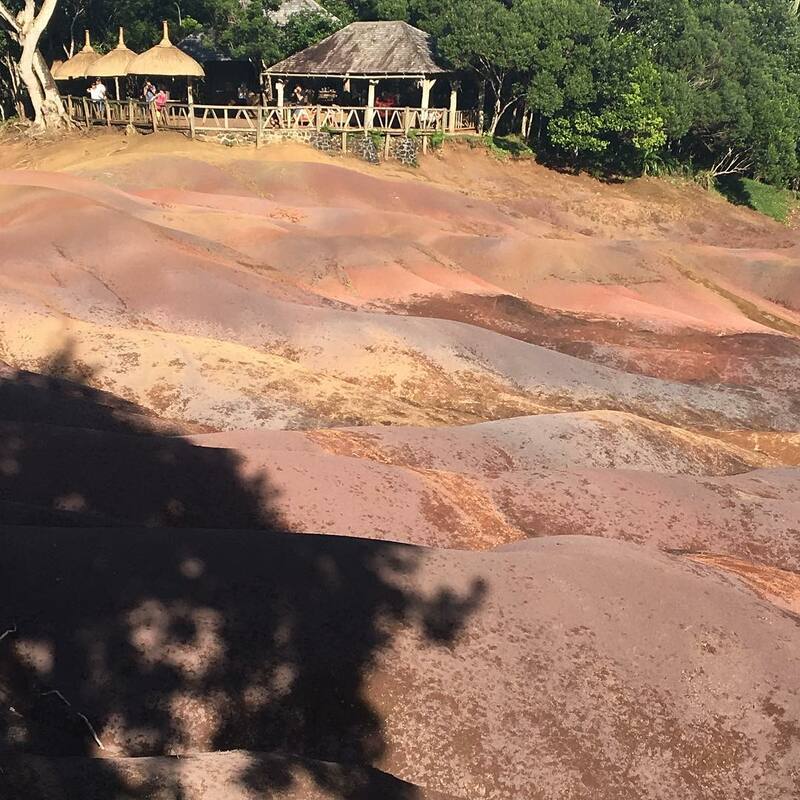 The Land of Seven Colours is a mystic place, a geological curiosity: small dune lands of different colors! It is very surprising and amazing. Not far away, one can see a beautiful waterfall of about 100m high: the most beautiful you will come across in Mauritius. On the road there, if you are visiting the island during the months of February to April, do not miss to stop along the roads and pick up guavas that grows on each side of the sentiers across this descent towards the south of the island. The National Black River Gorges Park is without any doubt the green jewel of Mauritius – the lungs of Mauritius. 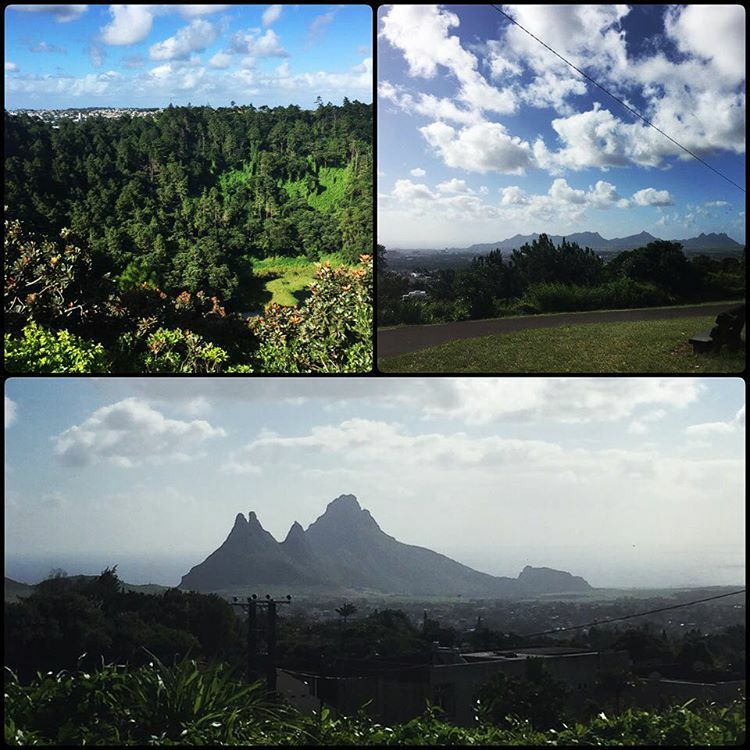 Since June 1994, the splendid forest of nearly 6600 hectares, located in Plaine Champagne in the hills of the south west of Mauritius, is classified National Park and is managed by the National Park Conservation Service. The park offers a unique opportunity for hiking and discovering the natural heritage of the island. It boasts breathtaking landscapes and about 300 species of trees, shrubs, plants and animals. You will also have the opportunity to discover yet another waterfall of the island there. Just roll back to 400 years ago and imagine how the land of Mauritius was. Endless forests unfolding before you, pigeons, parrots and bats flying in groups. Giant tortoises and dodos approaching you and wondering what you are doing here. That’s indeed a dream. Although it remains a tiny part of the original fauna and flora of the island, there is a place where you can see some of these rare species in all their glory: Ile Aux Aigrettes. Those visiting Ile Aux Aigrettes will see the last remnants of dry ebony forest that once grew in abundance across the main island. They will also see some of the work done by the ‘Mauritius Wildlife Foundation’ to replant and reintroduce endangered vegetation such as rare orchids, reptiles and birds such as the famous Pink Pigeon. Guided tours are organised everyday – this is a must visit you will surely be conquered by. Blue Bay Marine park remains one of the only conserved Marine park of the island of Mauritius. A unique trip awaits you there. Your eyes will be marveled by the various colourful and striking reefs home to various species of fish. The luminous hues of the limpid waters of this marine park is blessed with an exceptionally diverse seabed. Get your snorkel and diving equipment out, you won’t be able to resist to dip into those clear and attracting waters. This small group of islands has become a favorite stopover for boats and divers. Various catamaran cruises can be booked to visit those beautiful and secluded island in the north of Mauritius. Participating in these cruises allow visitors to enjoy snorkeling in the crystal waters of Coin de Mire, home to seabird niches in the cliffs. This tour is also an opportunity to organize picnics and swimming around Flat Island and Ilot Gabriel. You will also have the chance to admire the remarkable silhouette of the Round Island, a nature reserve which cannot be visited in order to protect native species of plants and reptiles that have been reintroduced n this piece of land. Round island and its neighbor, Snake Island, are part of a large conservation operation by the government and the ‘Mauritius Wildlife Foundation. Between beaches, hotels, villas and sun, you might think you know the pearl of the Indian Ocean … Well, let me tell you something, Mauritius is as secretive as it is exotic. With its palette of cultures and kaleidoscope colours, this little piece of paradise has a lot to offer in terms of things to do during your holidays there. You’ll find activities for everyone – old and young alike will find something to do on this island of wonders. If you are a diving lover, you will discover submarine spots of exceptional beauty on the island of Mauritius. Whether you are only a beginner or have your PADI level, you can make diving trips on the various sites of the island. For the more curious, you won’t have the will to resist the call to take a look at the marine life of the lagoon of Mauritius … Equipped with fins, masks, snorkels … venture yourself in the waters of Blue Bay, Ile Aux Cerfs or Ile Aux Aigrettes. If you prefer skiing, the island is full of kite surfing spots known worldwide. Mauritius, having as feature protected lagoons and its trade winds providing a steady wind almost all year, generates the waves by via Barrier and has become popular for windsurfing. It does not stop here. Other activities proposed in Mauritius extends to windsurfing, sailing, canoeing, kayaking, boating pedals, glass bottom boat. These are activities that you must try during your stay in Mauritius. Mauritius is the perfect destination to discover, learn or improve on your fishing skills. Depending on the season, if you wander into deep sea fishing, you can catch marlin, swordfish, sharks, tuna, bonito or barracuda. A catamaran cruise along the coast of Mauritius remains a must try. It is an unparalleled way to discover the island in a completely different light. Nature enthusiasts can enjoy a wide array of land activities in Mauritius. From hikes in the many parks and fields, old sugarcane properties or reconverted sentiers such as the Black River Gorges National Park or the Domain de l’Etoile. If you love nature then you’ll love walking through the lush forests of Mauritius to discover its mountainous landscape, exotic vegetation and rich fauna. The island of Mauritius is a golf destination hosting various international competition. Enthusiasts from around the world compete on the mown greens between mountains and sea in the paradisiacal sites near the lagoon or on the famous Ile aux Cerfs. No less than eight 18-hole courses and four 9-hole courses can be found on the island. Something for all golfers, whatever their level of play, they can pleasantly occupy their stay in Mauritius! Without getting wet, you can admire many species of fish in the aquarium of Mauritius located in Pointe aux Piments. Always dry, you will walk around the various bassins boasting more than a 100 species of fish and algae. You will even have the chance to enjoy the view of sharks and sea tortoises. Casela Adventure Park is open all year and invites you to discover its animals, the children’s farm and the many activities proposed around the park. Casela is located in the southwest of Mauritius between Tamarin and Flic-en-Flac and offers a splendid view of the Rempart River Valley. Open since 1979, it now houses some 1,500 animals, including species of rare and colorful birds, giant tortoises, lions and many others. Recently upgraded, the park now offers an unparalleled experience to visitors with its heart pumping activities – ziplines, canyoning and quad biking. To visit the park and discover the animals, you have the choice to follow a guide on board quads or buggies with all the equipment necessary to conduct this kind of gear. And to be as close to the animals, you can visit animals in their natural habitat on the Segway after a few minutes of initiation! The children will certainly be conquered by the mini-farm which allows them to approach the animals and their babies, and even feed them! Horse racing is a national sport in Mauritius! Every weekend, the Champs de Mars racecourse is full. In the stands you will quickly feel the excitement rise; bettors flock to the announcement of the jockeys, riders climb onto the stool, ready to go, take to the starting line and “bang”, the race is on! Spectators observe, comment, shout, exclaim, grumble and laugh. A nice cocktail of emotions to explore when you are in the vicinity of Port Louis during the weekend. This will be a unique opportunity you’ll want to enjoy. At the same time, you’ll have the opportunity to contemplate the beauty of one of the oldest Horse race track of the southern hemisphere. Mauritius indeed allows you to spend magical moments with dolphins during your holidays. The only constraint might be that you will need get up early! Yet, you will not regret your early morning ride, the show is exceptional and the light is beautiful! The departure is between 7:00 and 8:30 from South West beaches. From Tamarin you will go in the Bay of Black River and Tamarin Bay. After a briefing with the skipper on the types of dolphins and their habits, the precautions to respect the welfare of dolphins and security measures on the boat and in the water, you can put on your flippers, mask and snorkel, and enjoy an unforgettable encounter with dolphins! 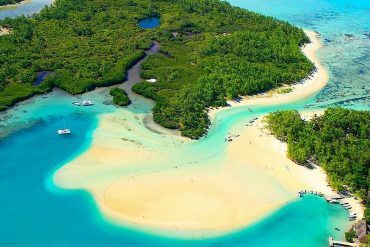 And then you can take the opportunity to discover ile Aux Benitiers, a charming little island where you can chill and relax before returning back to the main island. When you are in Mauritius, you are surely there to enjoy its exquisite beaches. The island being surrounded by sea, offers quite a wide choice when it comes to beaches. Yet to easy your choice, here are the top 5 beaches you should not miss while visiting the island of Mauritius. In the north, this public beach is the best and the most known. It is distinctly rounded in an arc. Protected by a thick forest of casuarina trees, it is the favorite beach of Mauritian families on weekends. And you should not miss the local entertainment par excellence: Inflatable “banana” ride. Of all public beaches in Mauritius, Flic en Flac, located in the west, is one of the longest: it covers nearly 3 km. Deserted on weekdays, it is barely accessible for the weekend! You just need cross the road to find restaurants, bars and nightclubs. You will also notice quite a lot of food trucks around there. To the south-west, you will find Blue Bay! One extremely beautiful beach where the sand is fine and the blue of the sea dazzles you. There you will also have the opportunity to visit one protected marine park, boasting unique specimens found only in the Indian Ocean. This is probably the coolest and most tranquil beach of the island. If you are looking for peaceful relaxation in a Robinson Crusoe setting, this is where you should head. Located in the east of Mauritius, Belle Mare does not attract much but remains one great beach of fine sand and clear waters. The cliffs of Gris Gris, just steps from the town center of Souillac, in the south, will amaze you – With its raging waves and its wild beach, accessible by a staircase. Swimming is dangerous, but the scenery is pleasant and the location idea for a picnic. The Mauritian cuisine is as mixed as its people and its culture with influences anchored in its history. Here are a few specialties you should not miss while visiting the island of Mauritius! The Rougail is a mix of tomato, onion and garlic which altogether forms a hot sauce in which is incorporated chicken,meat or fish. Served over rice, chapatis or faratas, the rougail is a very tasty dish that you will find easily in typical Mauritian restaurants. The Briani or Biryani is made of rice but maybe declined with chicken, fish, beef or vegetables all with a pinch of saffron punctuated by various spices. The best Brianis you will eat on the island are those from Plaine Verte in Port Louis. The Magic Bowl is usually an inversed bowl of rice topped with chop-suoy. The Sino-Mauritian cuisine is very fragrant and very popular on the island. This dish is a must taste when it comes to the cuisine of Mauritius. It would be unthinkable to visit Mauritius without trying this culinary wonder. The main ingredients of this délice are: basmati rice, carrots, chicken breast, garlic cloves, corn starch, eggs, chives sprigs, oyster sauce, onions, Chinese brède, Chinese mushrooms, etc. Dholl Puri is also one of the most representative dishes of the island of Mauritius. On every street corner you can find a dholl puree seller and do not hesitate a second to taste it. It is a kind of savory pancake topped with chutney and curry. On the island, Mauritians consume it at any time of day. It is a feast for the eyes and taste buds! Note that the Dholl Puri is always served in pairs. A good dholl puri is topped with curry, chutney and rougaille. Fried noodles is unquestionably one of the best dishes you will find in Mauritius. You will find it on the menu card of almost all the restaurants and snack bars of the island. Fried noodles consists mainly of chicken, noodles, vegetables and shrimp. The Taro cake is a donut made from a root-based plant that grows in Mauritius. Soft inside and crunchy on the outside, these cakes are a real delight that is usually eaten with Cotomili chutney (coriander). Food has an important place in the everyday life of Mauritian. Tasting Mauritian cuisine helps you to fully enjoy the ethnic diversity of Mauritius. The hungry travelers will marvel at the quality and variety of local and gourmet cuisine proposed. We have shortlisted the best restaurants on the island for you. There you will taste exotic flavors of diverse influences that you will never forget. Enjoy a romantic dinner while admiring the stars on the terrace of the Château de Bel Ombre. From the 1800s and located in the French garden of the area of ​​Bel Ombre, the colonial house converted into a restaurant, offers cuisine that reflects the Mauritian traditions. The restaurant of Jacqueline Dalais, famous Mauritian cuisine lady, remains one of the best restaurants on the island. Through its innovative and family recipes, La Clef des Champs combines the richness of Mauritian produce excellence to French gastronomy. You will love their unique creations. Situated in a garden with used cars and a colonial house, Chez Tante Athalie transports you to a picturesque atmosphere. As its name suggests, the restaurant pays homage to Madame Athaliah from the field of Mon Repos. Its simple, fresh cuisine and typical Creole will marvel you. Typical Mauritian restaurant Chez Rosy welcomes you in a rustic setting with colorful décor. The restaurant invites you to discover the culinary tradition of Mauritius through a simple cuisine and dishes rich in colors and flavors such as lobster in parsley garlic butter or vindaye of octopus (octopus). All in a wild setting near La Roche Qui Pleure. Peoples and ethnic groups: Indian, Creole, French, Anglo-Saxon and Chinese. Religions: Hinduism, Catholicism, Islam and Tamil minorities. Festivals: New Year’s Day (1 January), Chinese New Year (January-February), “Cavadee” (January-February), commemorating the abolition of slavery (1 February), “Maha Shivaratri” and “Holi” (February-March), the anniversary of Independence and the Republic (March 12), Labour Day (1 May), “Ganesh Chaturthi” (August-September), “Divali” (October-November) “Teemeedee” (December) and all religious holidays. Time difference: + 3 hours in summer; + 4h in winter compared to France. Electricity: 220 V / 50 Hz. 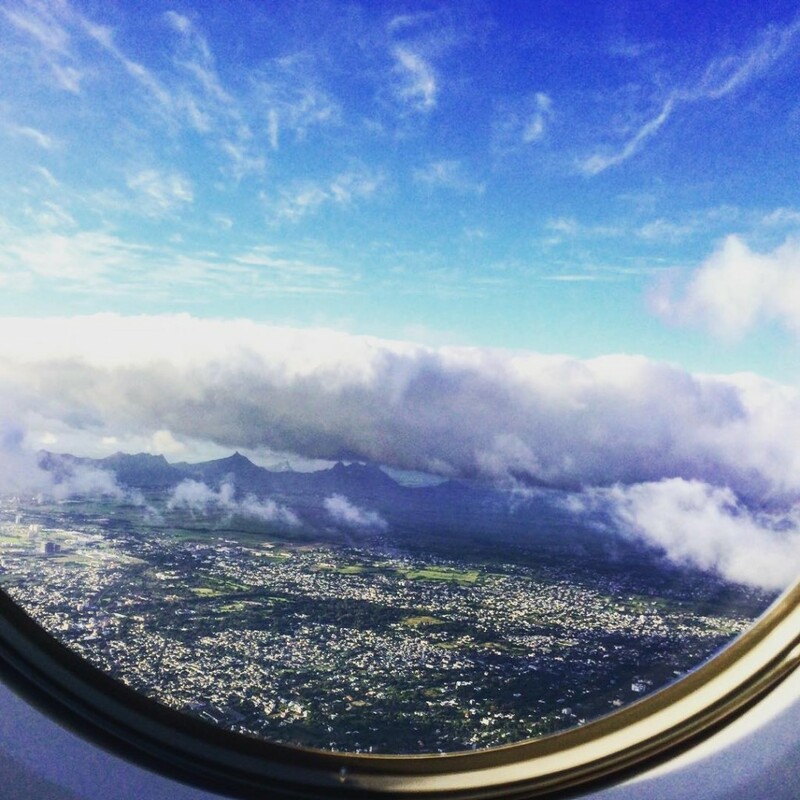 By plane: Air Mauritius connects Mauritius to Reunion and Rodrigues daily. By boat: the boat “Mauritius Trochetia” performs Mauritius-Reunion and Mauritius-Rodrigues bonds. By bus: buses, often crowded (they depart once filled) enable the visit of different areas of the island … The rhythm of Mauritius is fascinating – frequent stops, sporty driving, cheap trip, and fun guaranteed! By car: car rental is possible at the airport and at the various car rental services around the island. Driving is on the left and be sure of the authenticity of where you are renting a car and the condition of the car. The main dangers come from the sun (high protection sunscreen, headgear and sunglasses are a must). Please note also that “chikungunya” is transmitted by mosquitoes (repellent and protective clothing required in the evening). Observe the basic rules of hygiene (washing hands before eating, wash fruits and vegetables, eat well-cooked food …) … and remember to drink enough!In general, consult your doctor before starting to update your vaccines and build up a preventive kit pharmacy. Mauritius is a relatively safe destination. You should nevertheless be careful to avoid ostentatious signs of wealth and pay attention to your valuables ​​(especially on the beach). Warning: drug use (of whatever nature) is punishable by a lengthy sentence. Mauritius has two seasons: austral winter (May to October, when it is cooler) and the austral summer (November to April, hot temperatures), which is the most appropriate time to come enjoy the attractions of the island, particularly since it corresponds to winter in France. so pay attention to the influx of tourists during this season, especially in December and February-March: remember to make your reservations in advance. The ” dodo, bird now extinct, was from Mauritius. Several theories attempt to explain his disappearance but none have been confirmed yet! 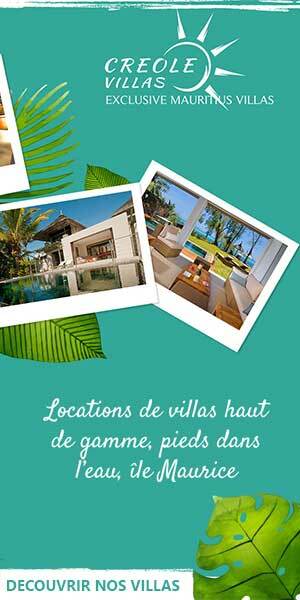 Have wonderful holidays in Mauritius!